The lost palace of Sheen…er, Richmond…. This link will take you to a very interesting and information article about Richmond Palace, which was formerly the Palace of Sheen. It led a very chequered life, being destroyed by a king’s grief and then by fire. It was also the scene of Henry VII’s death. Where at Sheen was Richard II’s private pavilion at La Neyt…? The above is the only illustration I can find that might be part of the original palace at Sheen. Or, it could be part of Richmond Palace. Tracing details of the original royal palace at Sheen, on the banks of the Thames, is not an easy task, because its Tudor replacement, Richmond Palace, rather steals the limelight. Henry VII decided to rebuild and rename Sheen after his father’s title, Richmond. So illustrations of Sheen almost always turn out to be this replacement building, which was built upon the remains of Sheen. On 9th April, 1395, the first palace was ordered to be razed to the ground by a grief-stricken Richard II, because his adored wife, Queen Anne, had died there suddenly the previous summer, of the plague it is thought . “Sheen (with its annexe of royal lodgings called La Neyt) was larger than Eltham and perhaps, in the 1390s, more important. It had been part of the royal manor of Kingston in Surrey. 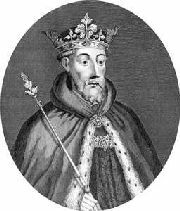 Edward III had spent £2,000 on converting it into a palace, and had died there on 21st June, 1377. Free-standing, timber-framed buildings were arranged around two large courts; the postern of the Down Court opened on to the Thames and the royal barges moored there. Close to it there was an island called La Neyt, where Richard had a Royal Lodging built between 1384 and 1388; he thus secured a privacy that had been unknown to any previous king. The Lodging was fragile and luxurious: 2,000 painted tiles were commissioned for ‘the chamber assigned to the King’s bath’. This suggests that the walls as well as the floors of the room were tiled; it probably centred in the ‘cuva ad Balneam’, a bath with large bronze taps for hot and cold water. “Across the river the palace continued to grow and all Richard’s additions to it were marked by two novelties: personal latrines, which were most probably conceived as a part of elegance; and fireplaces in small rooms, which perhaps like hot baths had become an essential part of comfort. So, until Anne’s death, Sheen was clearly very important indeed to Richard. So much so that he had a very private house/pavilion built on a close-by island in the Thames. Was the island itself called La Neyt? Which island was it? How close by? Those of us who know anything about Richard II, will know about La Neyt. It was where Richard and Anne could be alone together, very privately, and so must have been a very treasured royal bolthole. There are three islands in the Thames at Richmond. Well, an island and two islets. The latter are known as the Flowerpots, and are far too small to have supported a royal pavilion, even a modest one. The island is now called Corporation Island. Not a very romantic name, but it is big enough to have housed a royal lodging. Was it the site of Richard’s La Neyt? I have not been able to find out anything more definite, or indeed if there have ever been excavations on this island. Surely archaeologists would discover remains—foundations at least—if there had been a 14th-century building there? If anyone knows more, I would love to know. Elizabeth Wydeville, by an unknown artist, Royal Collection. If anyone today wandering around Bermondsey, South London, should find themselves in redeveloped Bermondsey Square they may be surprised to find that they are standing on the spot where once stood the quadrangle of the Abbey of Bermondsey, the entrance to the square being the site of the Abbey gatehouse. Nothing much hardly remains today above ground (after the archaeologists had completed their study of the Abbey remains in 2006 they were once again covered over) other than some remains of the south western tower which can be seen below the glass floor of a restaurant and nearby houses on Grange Walk, 5, 6 and 7 which incorporate in their structure remains of one wall of the Abbey’s stone eastern gatehouse, particularly No.7, where the chamfered south jamb with two wrought iron gate hooks still project. 5, 6 and 7 Grange Walk, Bermondsey incorporating the remains of the Abbey gatehouse seen in 18th century engraving below. Note the roof line still recognisable today and windows still in original positions. 18th century print of the Abbey Gatehouse. Drawing by C R B Barrett 1906 where the two Gatehouse hinges can clearly be seen with the remains of a third one still visible. It is intriguing to remember that in this Abbey, Edward lV’s queen lived out the last five years of her life, in the Clare guest suite, dying there on 8 June 1492, She was the second queen to both retire and die there, the first being Katherine of Valois, Henry V’s widow. Elizabeth commenced her retirement there in 1487 and debate still rages as to whether she retired there willingly or unwillingly with some good reason to be believe that her withdrawal there was forced upon her by her son-in-law, Henry Vll. Certainly her removal there and the arrest of her son Thomas Grey followed hot on the heels of the news of the outbreak of the Lambert Simnel rebellion and a council meeting at Sheen so that it might be reasonable to deduce that Elizabeth and Thomas were implicated in that plot. 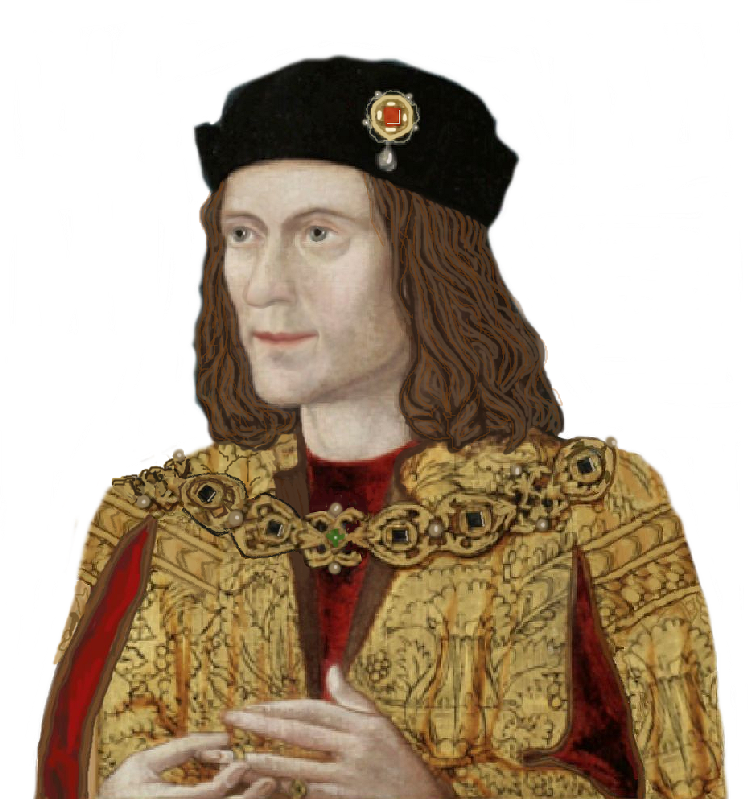 MacGibbon, Elizabeth’s biographer wrote ‘Henry is reported to have deprived Elizabeth of all her lands and estates, conferring them on her daughter, his queen, on the l May 1487, and finally to have induced her to spend the rest of her days in seclusion in Bermondsey Abbey in very reduced circumstances ‘(1). Vergil, the Tudor historian was later to say that this was because Elizabeth had reached an understanding with King Richard three years earlier upon which she removed herself and her daughters from sanctuary. This is absurd and it may be that Vergil knew full well that Elizabeth’s retirement was not voluntary but did not know the precise circumstances or chose not to repeat them it being unwise to record that Elizabeth and Grey may have got themselves involved in the Simnel rebellion because they both believed that Edward of Westminster and/or Richard of Shrewsbury were alive and well. Certainly it does seem a strange decision on Elizabeth’s part if she herself decided on the move to Bermondsey as she had only in the previous year taken out a 40 year lease on the Abbots House, known as Cheyneygates, at Westminster Abbey, conveniently close to the Palace of Westminster ( 2 ). Ah, man makes plans and the Gods laugh as they say. MacGibbon also opines, rather contradictorily, as he seems rather besotted with Elizabeth, that ‘It is possible, if not probable, that Henry disliked his mother-in-law and in this he was no means singular, for there never was a woman who contrived to make more personal enemies’ but he adds as an afterthought, ‘but he ever deprived her of either property or dignity, remains to be proved’. Furthermore, ‘far from being exiled from her daugher’s court, she was in that same year chosen as Prince Arthur’s godmother and attended at the font’ ( 3). 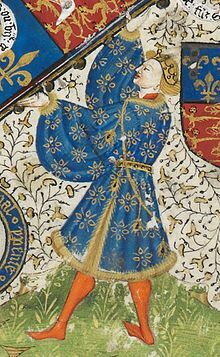 Finally, he plucks his ripest plumb from the tree, that on the 28 November 1487 Henry and James lll of Scotland agreed that the latter should marry Elizabeth as well as two of her daughters marry James’ sons. However it must be remembered that at the time of James death, June 1488 none of these marriages had actually taken place and so it cannot be taken as a given that either King, particulary Henry fully intended these marriages to take place. Indeed David Baldwin points out that ‘the proposed marriages had been mooted before the Simnel rebellion, at least as early as the Three Years Truce signed on the 3 July 1486’ ( 4 ). It has been said that it is unlikely that Elizabeth would involve herself in the Simnel plot, which would have culminated not only in the eviction of Henry, her son-in-law. from the throne but also her daughter not to mention have robbed her small grandson Arthur of his future inheritance. But on the other hand if she believed that the true intention of the plot was not to put Simnel/ young Warwick on the throne but one of her surviving sons, then it is highly likely that this is the very course she would have taken. This may also explain any coolness that Elizabeth of York may have felt towards her mother and, if this were the case, Elizabeth’s retirement, brought about by her diminished financial circumstances, leaving her with little choice, may have proved very convenient for the royal couple, . Certainly from Henry’s point of view Bermondsey must have seemed the perfect solution. The accommodation itself, the Clare Suite, may have been deemed suitable by some for an ex-queen although to Elizabeth, who had lived a life of luxury in many sumptuous properties it must have seemed a massive case of downsizing, as we call it today, with a close watch on her movements and an occasional outing to keep any murmuring/speculation down. Interior of Great Gatehouse as it was in the 17th century. A) 1485. Elizabeth is treated with deference by Henry, her title of Queen Dowager being restored to her in Henry’s first parliament which met a week after his coronation on 7 November 1485. Acted as godmother to her grandson Arthur. C) 1486 July 10th. Elizabeth takes out a 40 year old lease on the Abbots House, Cheyneygates, at Westminster Abbey. D) 1487. February. Shortly after news of the Lambert Simnel plot reached England Elizabeth retired to Bermondsey Abbey and her son Thomas Grey is arrested and put into the Tower of London. Elizabeth’s biographer David Baldwin wrote Henry ‘deprived Elizabeth of all her properties, and confined her to Bermondsey on the unlikely grounds that she had imperilled his cause by surrendering her daughters, including his bride, to King Richard three years earlier’. E) 1487 November 28th. An agreement between Henry and James lll of Scotland for the latter to marry Elizabeth. However, James died in June 1488 without this proposed marriage taking place. F) 1489 November. Elizabeth is present when Francois, Monsieur de Luxemboug, head of a visiting French embassy, met Elizabeth of York and her mother-in-law, Margaret Beaufort. Although this might appear prima facie to indicate that all was well within the royal family, as it was surely intended to do, the possibility exists that Francois, her kinsman, had insisted on meeting Elizabeth and to avoid suspicion and gossip the meeting was duly arranged with the presence of Margaret stiffling any chance of a private conversation taking place which might have occurred had he met her in private at Bermondsey. H) 1492 June 8. Elizabeth dies at Bermondsey Abbey. It could be said that Elizabeth was the human rock that the House of York foundered, and finally, crashed upon, taking with it her two young sons, although this in no way pardons Edward with whom the buck must stop. Perhaps he was giddy with his triumphs but certainly raging testosterone overcome common sense. Edward seems to have kept his brains in his pants and the ensuing problems and tragedy that this later caused is well documented elsewhere and I need not go into it here. Perhaps it would be hard hearted not to feel some glimmer of compassion when reading the pitiful will made at Bermondsey. Elizabeth asked for a humble funeral and that is exactly what she got – even the herald reporting it was shocked – and so she was laid to rest in a wooden coffin without the usual inner lead one so that when the vault in which she and Edward were interred was opened in 1789 all that remained of Elizabeth was a pile of bones and the remains of the coffin which had rotted away. When the vault was resealed once again there appears to have been nothing left of Elizabeth, her bones having been stolen by Georgian souvenir collectors. So Elizabeth remains a footnote in history, taking any secrets she may have had to the grave with her, including perhaps the whereabouts/fates of her two young sons. She died knowing that her daughter was queen and that her blood would run through the future Tudor monarchs and perhaps she gained some comfort from that..but I wonder, did she ever muse on what might have been and what had been lost. I leave you dear reader to make your own mind up about that.